MTSL is into Medical Transcription. 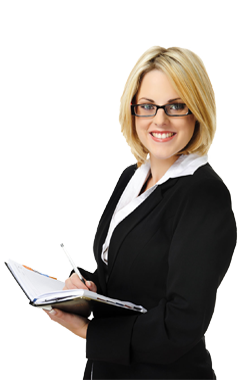 We offer various services to our clients apart from delivering the reports. MTSL Provides comprehensive cost-effective HIPAA compliant medical billing solution for health care professionals. MTSL is a leading service provider of high quality on-site/offshore consulting services which includes application development. Millennium Technosoft is a pioneer IT consulting and application development service provider in India and across the global countries. Since 1995, we are committed to provide technology driven quality services to our esteemed clients with domain driven approach. We are known for our scalable, reliable, secure, robust and easily maintainable application providers with hands on experienced team and unique methodologies. We follow client centric and innovative service approach in each and every aspect of service capability. We understand your requirement and develop the application to meet your business requirements in a fast track. We bring more than two decades of experience in delivering the excellence the leading consultancy services provider in India. We offer vivid range of services such as IT development, HR consultancy, Application services, and Mobile application, Migration & Re-engineering, staffing services and testing services. We provide full range of consultancy services in each and every phase of projects with a primary aim to deliver the targeted goal. Our mission and vision are routed to enlighten your organization needs and help you to draw your success path. Millennium Technosoft is a pioneer IT consulting and application development service provider in India and across the global countries. Since 1995, we are committed to provide technology driven quality services to our esteemed clients with domain driven approach.